Over 450 skus to pick from and full training and brokerage support. Partnership. Down To A Science. Your customers want—and deserve—only the purest, highest-quality botanical, vitamin, nutraceutical supplements and essential oils. And when you partner with Vitality Works, that's just what you'll get. Effective, 200% tested products—all ingredients coming in, and all formulas going out. We use only ethically harvested whole botanicals and organic herbs—fresh from the fields. Then we grind them ourselves to ensure their purity. Nothing but top-shelf for your shelves. And lots of it. Build your private label program and grow your brand with more than 450 excellent products we keep on hand. We make it easy to get started with a three-bottle, $100 minimum order—even free shipping. And we make it stress-free to keep it going. Our entire staff of experts and brokers are here to support you—to answer questions and offer advice. And our long track record of strict regulatory compliance gives you one less thing to worry about. We see this as a long-term relationship. 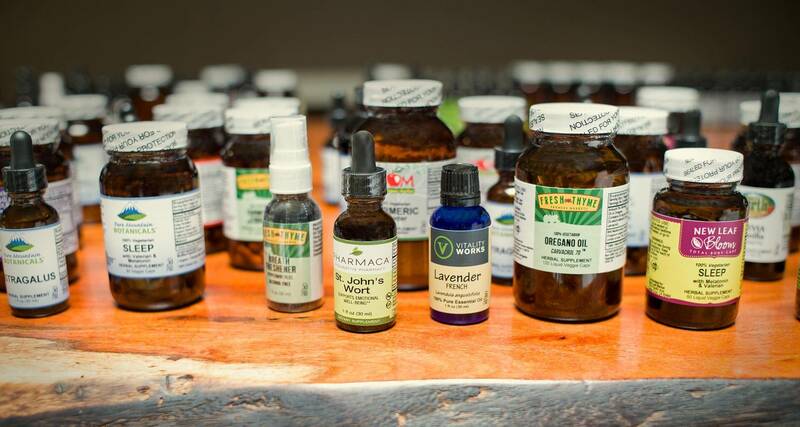 We have every product you need to build your brand and your customer base—everything from Arnica to Zinc. Essential oils, powder and liquid veggie caps, liquid extracts, vitamins and minerals—directly sourced, organic, non-GMO supplements. All the best. And strictly kosher. The more you learn, the more you can earn. So we're eager to teach you how to maximize your private label program. We offer educational materials, training, phone support, workshops and a sleek line of trays, racks and POP displays. Even on-site management and analysis visits to your store by our brokerage team. As your business partner we want you to have a healthy ROI. Do you offer demo services? Yes. Demos, paid by Vitality Works, are available for your store at the desired frequency, conducted by trained demo personnel across all markets. Do you offer displays and testers for the oils? Yes. Single or multi-layer wooden displays are available for the stores. These displays allow for testers as well, that are replenished as needed, at no charge. What is your order turn around time? Opening order is shipped within 7 business days, all other orders are shipped within 48 business hours. Scan Genius, EDI, Order Dog, Phone, Fax, Email, or through your Broker. Who pays for the label? The label is free if you start with 60 items or more. Easy to do considering you’re looking at liquid herbs, encapsulated herbs, essential oils, liquid vitamins and powders. Do you use magnesium stearate? If no, what do you substitute with? We do not use magnesium stearate. Where needed, we use organic rice flour, natural silica (diatomaceous earth) or omega 3 powder (from flax seed). Do you offer custom formulations? Can I get a ranking of your product line? Yes. That data is available and can be sent to you either by the the sales broker servicing your stores or by our customer service staff at our HQ out in Albuquerque, NM. Are the products packaged in plastic or glass? We only use glass bottles. Overall, our published wholesale prices are anywhere from 5% to 25% lower than the leading national brands across the marketplace. Do you have proposed opening assortments, deals, and opening order discounts? Yes. Opening order parcels and discounts are available, designed for small, medium and large retailers. Each assortment consists of top sellers from within 6-8 product categories. Do you offer any educational training? Yes. Trainings are available in numerous formats: phone hook ups with our National Educator, in-store staff trainings by our trained field force, and for large scale retail staff audience & attendance, trainings by our Founder/CEO are also available. Do you help set the section, merchandise the line? Yes. Our national broker force is fully engaged on an ongoing basis with store setups and re-merchandising efforts, as requested by our customers. Check expiration date on the bottom of the bottle, generally 5 years.